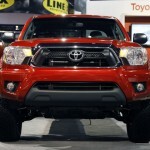 With the success and popularity of the Ford Raptor, new rivals are starting to pop up. 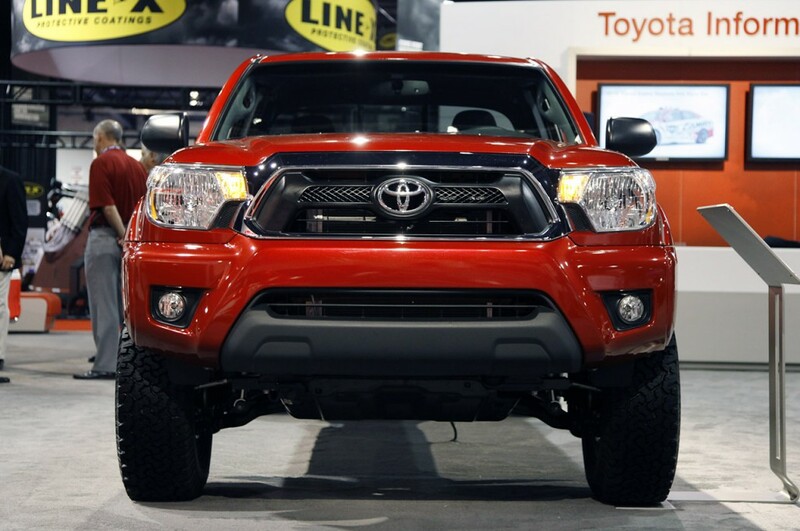 Automakers have to answer the calling for an off road capable street legal pickup truck. 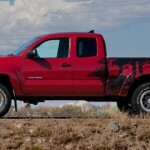 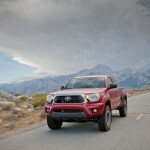 Toyota has unveiled the “Tacoma TRD T/X Baja Series Limited Edition Pickup” to try and become a competitor in this market. 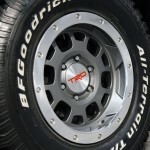 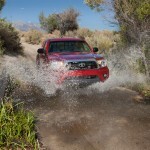 Toyota Racing Development, commonly known as TRD had been tasked with providing an affordable yet off road ready pickup to add to the existing product line. 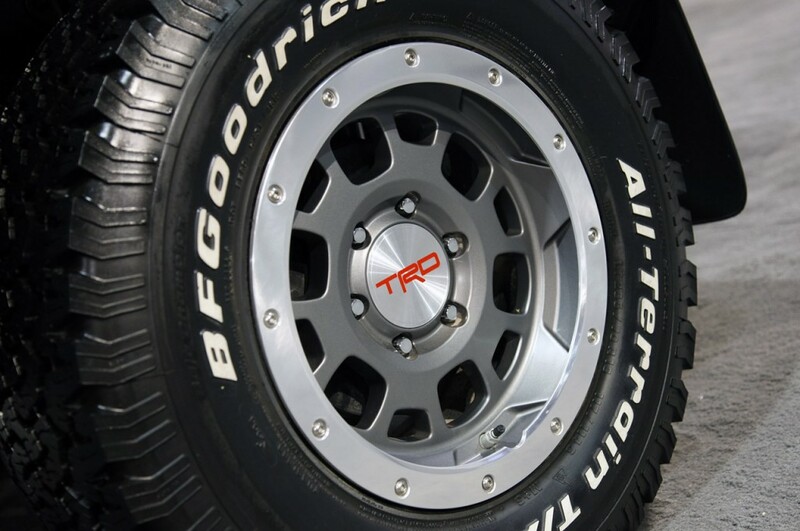 Special wheel and tire package featuring gunmetal gray 16in bead-lock off road wheels and B.F.Goodrich all terrain T/A tires LT26570R16 size. 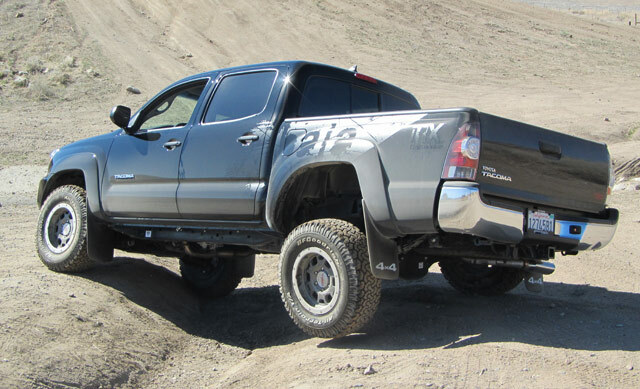 Front suspension raised 1.75 inches to improve ground clearance giving an additional inch of suspension travel from the Bilstein race shocks with TRD springs. 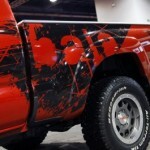 Rear Suspension Bilstein race shocks with remote reservoirs (60mm front with red coil springs/ 50mm rear). 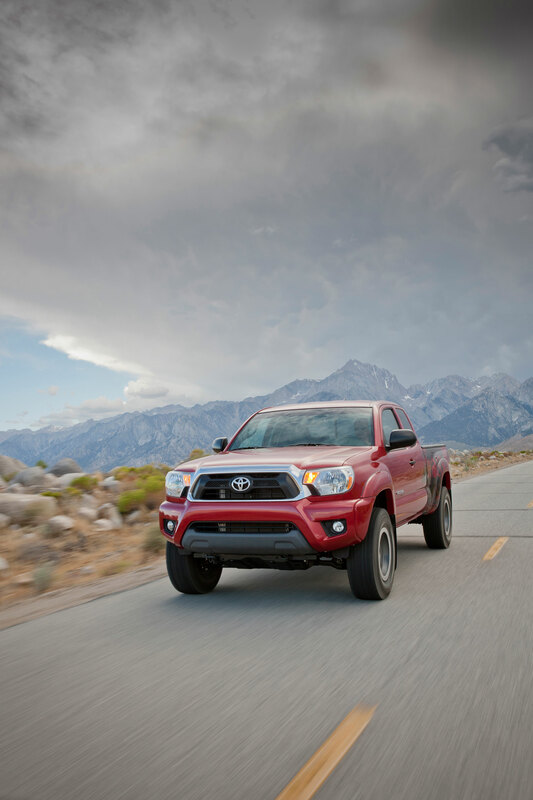 Electronically controlled features such as: Rear Differential, active traction control, hill start assist, down hill assist. 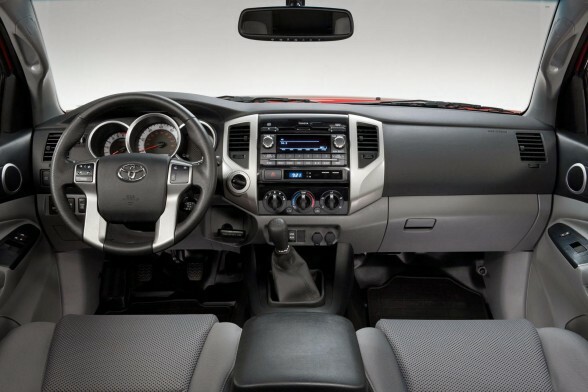 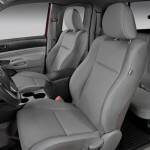 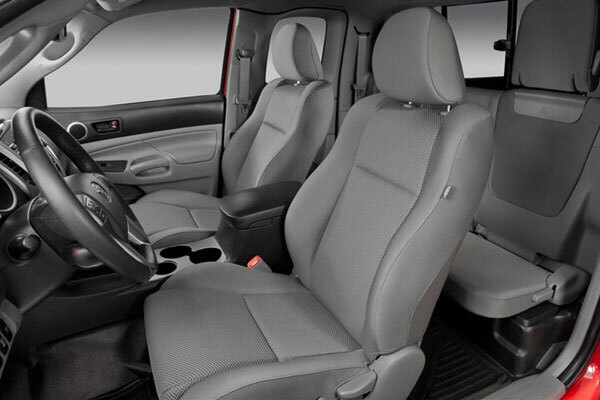 The truck will also include features of the newer Toyota’s models including the new Entune multimedia system, a new steering wheel and instrument panel along with a redesigned center stack. 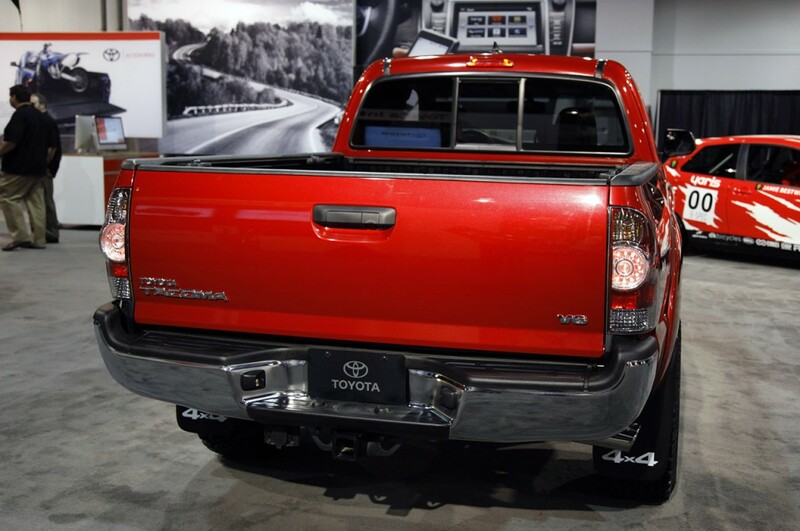 The T/X Baja package will be offered on the Tacoma Access Cab and Double Cab 4X4 trucks that are equipped with the TRD Off Road Package as a V-6 4WD manual or automatic. 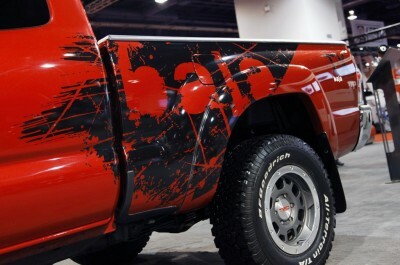 With as little as 750 being built for the 2012 model year, the Baja series may be extended to pre-runners in the future, though this is still under consideration, most likely as they wait for the response to the pick-up model. 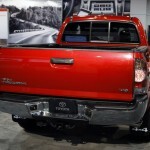 Prices haven’t been released yet but Toyota stated that it will be “in a price range that is accessible to a broad audience”, estimated in the mid thirty thousand dollar range, depending on each truck’s final configuration. 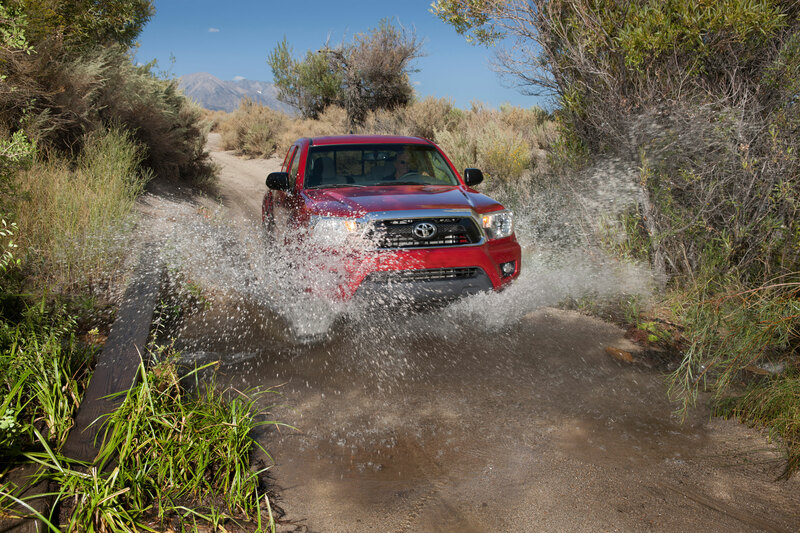 By working closely with the TRD team, Toyota aims to make a truck that is as fun and efficient off-road as it is for the daily commute. 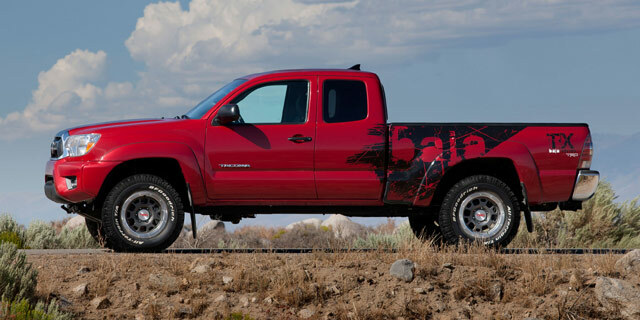 Other than the bold graphics, the main highlights are the included Bilstein race shocks, all terrain tires and the ability to self-upgrade for your own off-road needs. 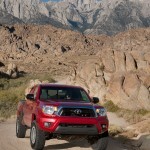 Is this Toyota a good answer to the Raptor? 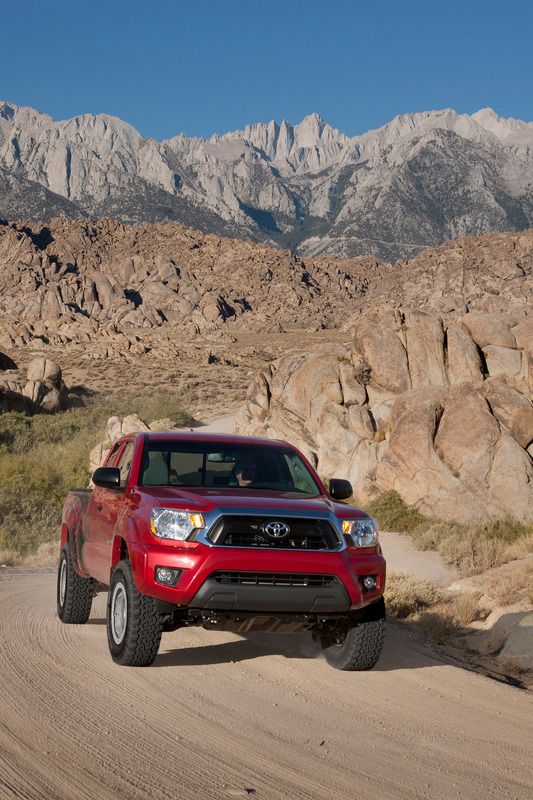 Let us know what you think in the comments below!